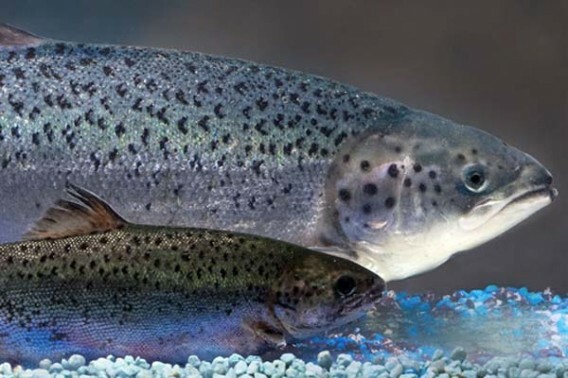 US federal regulators have approved a genetically engineered salmon for entry into the marketplace, clearing the way for the world’s first GMO animal intended for human consumption. This week in the US federal regulators have approved a genetically engineered salmon for entry into the marketplace, clearing the way for the world’s first GMO animal intended for human consumption. The fish, which is engineered to grow twice as quickly as a conventional Atlantic salmon, will undoubtedly intensify the battle in the US to get GMO foods labelled since the US Food and Drug Administration (FDA) has determined that the salmon does not require labelling. Early in 2013 it was revealed that the FDA had, without fanfare, pushed through approval for a mutant salmon, spliced together in the lab by the company AquaBounty. In fact, the FDA had quietly published reports supporting the environmental and health advantages of the fish back in May 2012. But according to an in-depth investigation in the journal Slate, news of the approval was put on hold to keep the issue of GM out of the US presidential election. It was only after this investigation was published that the FDA chose to alert the public of its actions, over the busy holiday period. In fact, the AquaAdvantage fish – perhaps inevitably dubbed a ‘frankenfish’ in the press and by campaigners – has been inching its way onto the market since 1989. It has been given genes from the Chinook salmon and the eel-like ocean pout, which allows it to grow all year round, not just when water conditions are favourable. It is also engineered to grow twice as quickly as a conventional Atlantic salmon. Despite the GMO salmon actually being blocked by Congress in 2011 due to serious health and environmental concerns, the FDA has consistently demonstrated its willingness to disregard these concerns, and drive approval for the fish through. Indeed, in order to fulfil its long held ambitions the FDA, under George W. Bush’s administration, determined that transgenic animals intended for human consumption would be regulated as animal drugs by the FDA’s Center for Veterinary Medicine in order to expedite the approval process. The final FDA approval process for drugs in the US also takes less time (average 10 months) than approval for, for instance, a food additive (average 24 months) and perhaps especially genetically modified food. This too may have been influential. As well as salmon, the AquaBounty company is also developing hybrid trout and tilapia which are also designed to grow faster than traditional fish. The FDA has ruled that the salmon is ‘substantially equivalent’ to normal salmon and therefore poses no health risk, even though there have been no independent long term studies. Indeed all of the studies submitted to the FDA were performed by AquaBounty. The sloppy science behind the fish is par for the course and shows the contempt that most biotech companies have for public concern. Indeed the sparse research for the fish means we cannot understand the long-term health effects of consuming it. 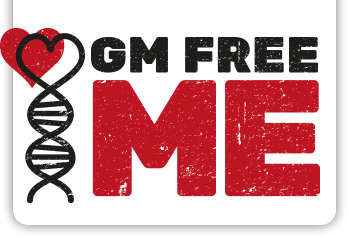 Worse course consumers will have no possibility of demonstrating their disagreement with this conclusion – unless they avoid Salmon completely – because GM products are not labelled. The salmon eggs will be produced in Canada, and the fish raised in tanks in Panama. This it turns out is key since, in order to justify approval, the FDA needed only to believe there was little likelihood that the salmon would affect the environment of the US. Never mind that it could have an effect on the environments in other countries. Although AquaBounty claims the resulting fish are sterile, that sterilisation process is not 100% guaranteed. This means there is the possibility that some of these fish could escape and breed with wild native salmon. Once these two types of salmon interbreed, there is no way to remove that modified DNA from salmon populations. It is likely that mutated salmon would be less able to survive in the wild – the knock on effect being a decimation of the entire wild salmon populations. Such is the concern that environmental groups Living Oceans Society and the Ecology Action Centre are taking the Canadian government to court in an attempt to halt the production of genetically modified salmon eggs, claiming that the process risks a “huge live experiment” with the genetic makeup of all wild Atlantic salmon. In addition to the action taken by the Canadian groups, the US Center for Food Safety is also launching a legal action against the FDA, in this case against the FDA. Could it come to the UK? It will take some time to for AquaBounty to raise enough of the fish and because of this it is still not clear how soon the salmon could enter the human food chain. Once on the US market there is no trade barrier to selling the salmon in the UK – though by law it would need to be put through an EU approval process, and once on sale labelled as GMO salmon. Rather than fresh salmon it would likely enter the market as smoked salmon or ingredients in pre-prepared foods. In the mean time, much of the farmed salmon we eat is routinely fed on high protein feed that includes GM ingredients like soya and yeast, in order to make it grow quickly (and, of course, if biotech companies have their way we’ll be feeding GM camelina oil to our GM and non-GM salmon before long). This fish is not labelled as GM fed, so consumers are unable to make informed choices about whether they eat it or not.